Can't bar chords. And another thing is that the A string seems a bit warped sounding. I cannot believe I paid for having no sound in my iPhone 4S. Please fix!! It is not a free app, I paid my money for this. Why doesn't this app have either midi out, audio export or audiobus? Latest update crashes immediately on 5S with 7.1.2. Please fix! Using iOS 7, clicked "UPDATE ALL" and am now stuck with a non-working app. Quick question, why release this update if you knew it had stability issues? I bought this app WAY back when it came out. And am now stuck with an icon, crashes upon opening. I'd also update that first picture so it's no longer an iPhone 3G being used. Fix all MAJOR known bugs before pushing out an update. This is just unacceptable. They've added more instruments and effects. It's a good toy to mess around on. The scrolling function is still pretty slow and unnatural. This app is really great, I use it for a long time and even played really hard songs with it! :) But I have an iPad too and would like to see a version for iPad. I just wanted an app that allowed me to play on a guitar. You can't really play like you would be able to a real guitar, but I can write basic riffs on it. 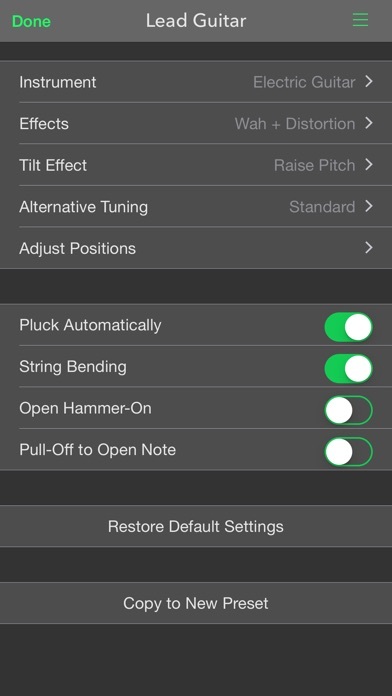 It also allows you to change the tuning you're playing in. You can change the strings individually too. It's got a guitar, bass, uke, and some pedals with effects like wah, distortion, and echo. If that's what you're looking for, this app is perfect. Thought this might be a cool app but it would never download. Checked other apps and all downloaded just fine. Kind of disappointed I wasted a $1. Hey you guys should add a black metal amplifier!!! 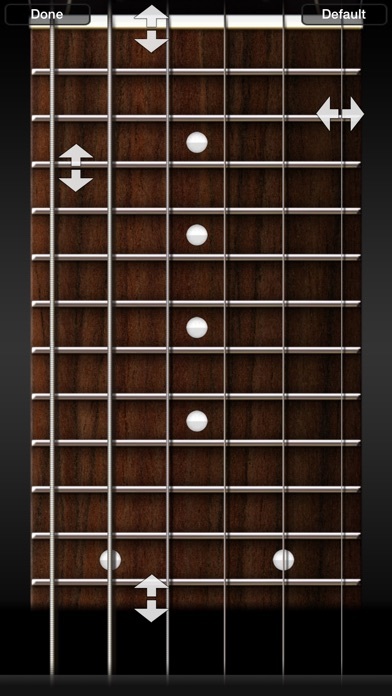 Easily the best and most realistic guitar app on the App Store for the past many years. I see a lot of reviews expecting this to be a toy or game app. There are already a lot of those apps on the market, where you play a guitar hero-type game and play along with a song or solely an image of a guitar and you tap on the strings and they automatically play chords for you. This is app DOES NOT do this. This app is a guitar simulator. I even saw reviews with 1 star stating that "this app is broken, you press on a fret and it just mutes it"... If you have ever played a real guitar, strum it, and then lightly tap on the strings... Well they are muted. Anyways, this app is wonderful. Obviously fret/screen size is an issue, so you cannot play a song that is all over the fret-board. But I can play many songs, all the way through, with fairly good accuracy with this app and I definitely get a similar feeling to playing real guitar. It's great for plucking out chords or playing with simple melodies or scales. The honest truth: it's a great guitar simulator trying to deal with screen real-estate problems and you pretty much HAVE to be able to play guitar to use this app because it's truly a guitar simulator. This is the bomb. 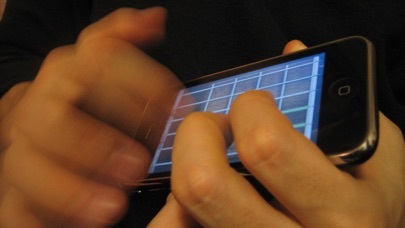 You can play guitar on your phone. Download this app! I love this app and it would be amazing if you made some updates to where you can play a mode where you have to play certain notes, and you should put other virtual instruments because what if somebody wants to play a metal song but you cant get it a violent pitch? This app is amazing!! I like how it gives you seceral options with effects like delay, chorus and distortion. This app has made strides but what it exceeds in ingenuity it lacks in convenience like being able to record with playing. Get that feature added and you have a pretty solid app. The distortion is not working on lead guitar and acoustic electric. Please fix this because i used to use this all the time. It's still a very good app anyways!! Very hard to do chords with strings next to each other. I can't do an A chord at all. It would be nice if you could barre chord. 1 star until AUDIOBUS support! I have to say, for the price of this app, it's great! For a buck you get guitars with effects, a bass and a ukulele! What's not to like? It's good for when I'm bored or want to show a cool riff to someone, or really just practice when I don't have a guitar available. It's seriously one of my favorite apps, and I'm not paid by these guys at all. Try it. It's a buck! You guys should add a feedback or reverb option. I was using this as a midi and the guitar has a like a reverb and feed back so it doesnt sound that great. I used to have a lot of fun with this app but after redownloading it it seems all the strings are swapped into the opposite location they should be. High notes where low notes should be and the pitch gets lower as you go down the neck? Wait for them to fix this before wasting your time. 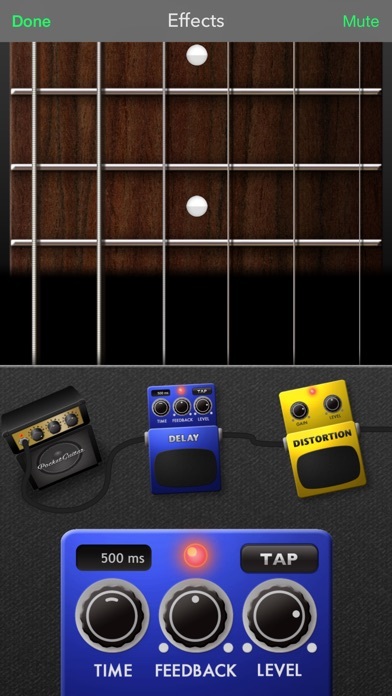 The best guitar app on the app store! Easy to play "Nothing Else Matters" and other songs by Metallica and even some SOAD songs like "Arials". I live playing this app in the car when I dont have my guitar around! No sound on iPhone 4 FIX!!!!!! I own an iPhone 4 and there is no sound. What is this? Good enough that I can check chords if sings in the fly. I only wish you can shift the keys as if you have a capo on the fly as well. I love this app now I can take my guitar where ever I go! 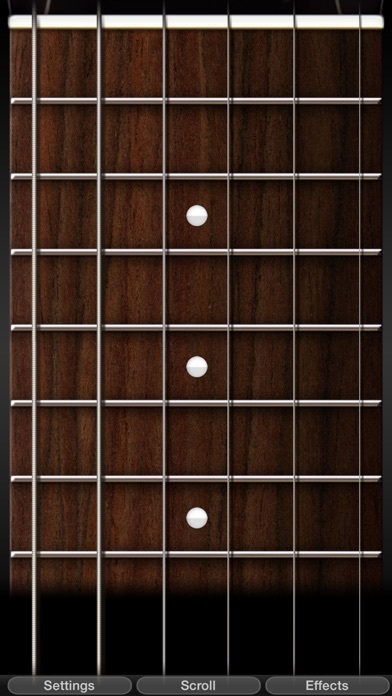 I wish it was easier to change frets but that would be hard to make on an app. I love the effects and different guitars! And I love the bends hamer ons and pull offs! Good for messin around I love it, worth 4 bucks max. Add more effects though!! This is thee BEST guitar type app that has come out so far. All the other ones are stupid, this one is awesome; simple as that. End of story! So cool! Chords are kinda hard though. Would be even better if this app had a recording feature. Update: The best guitar app on the App Store next to iShred and the most realistic guitar app I have ever used. I'm on a 3GS with iOS 5 and this app no longer runs Sad face :( FIX IT QUICK! This is the worst app ever i want my money back this is a waste of 0.99 refund me please deleted from my phone! One of the very first guitar simulations I bought for iOS, which is still after all this time is only designed to run on the iPhone (app does not take advantage of the iPad size difference). 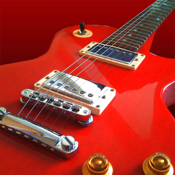 There are several other teriffic apps which could be called guitar simulations, for example "Steel Guitar" by Yonac, and "Pearl Guitar" (which has fallen into disrepair and is no longer updated by the developer). These were designed to take advantage of the larger format available on the iPad and both have many more options. Please update this app and make funding the development part of an in-app purchase! Please!